Tags: Denis Conway, Emma Laxton, Fiona Bell, Florian Zeller, Juno and the Paycock, Lynne Parker, Marie Mullen, Marty Rea, Northern Stars, Observe the Sons of Ulster Marching Towards the Somme, Paul Keogan, Paul O'Mahony, Pippa Nixon, The Beauty Queen of Leenane, The Father, The Plough and the Stars, The Tempest, The Wake, Who's Afraid of Virginia Woolf? It seems odd that Irish theatre should be so ruled by just one set of awards, especially when they have such transparent biases. Someday perhaps someone with the necessary money, reach, and prestige will set up an alternative to the Irish Times Theatre Awards. In the meantime here’s my 2nd annual Theatre Awards, pitched as a corrective; like the Film Top 10 is pitched somewhere between the mid-1990s Oscars and MTV Movie Awards; operating under the fervent aspiration that what is good ought be popular and what is popular ought be good. I’m loath to include anything I saw in London in these awards, but an exception must be made here. Nixon’s commanding turn as Ariel was one of those performances that upend your perception of a play. 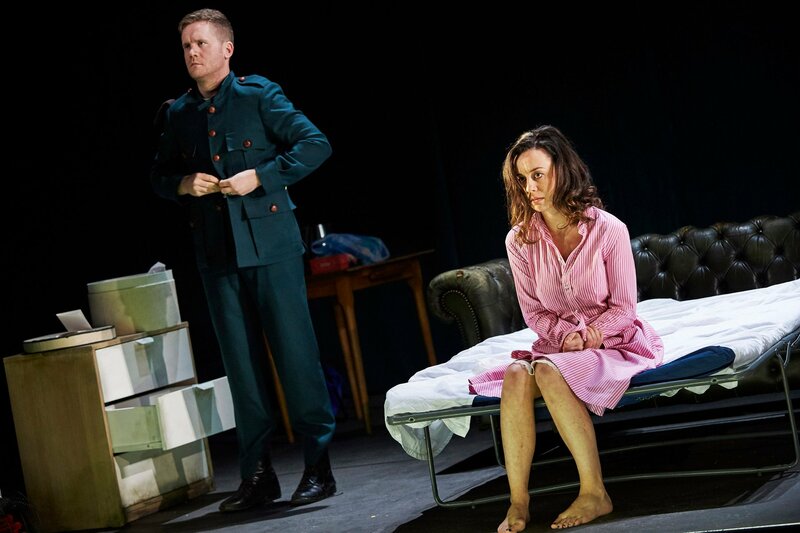 The Gate Theatre’s contribution to the Dublin Theatre Festival was the Irish premiere of Florian Zeller’s acclaimed play, in a spare translation by Christopher Hampton. 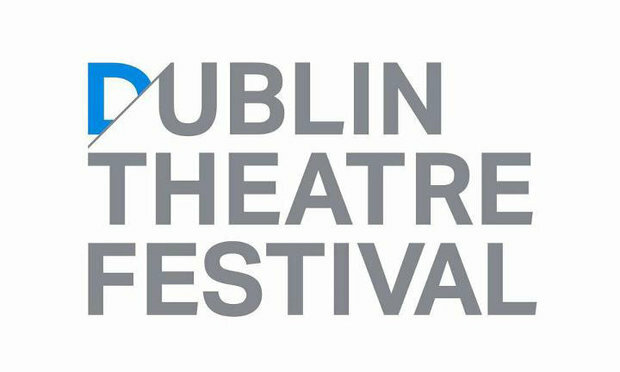 Tags: Abbey Theatre, August Strindberg, David Grindley, Denis Conway, Edward Albee, Fiona Bell, Gate Theatre, Jonathan Fensom, Mark Huberman, Sophie Robinson, The Gigli Concert, Twelfth Night, Who's Afraid of Virginia Woolf? Director David Grindley and actor Denis Conway follow their celebrated collaboration on The Gigli Concert last year with another revival of an intense chamber piece. George (Denis Conway) is a disappointed history professor whose career has been hindered more than helped by his wife Martha (Fiona Bell) being the daughter of the college president. When they arrive back, slightly drunk, from a mixer for new faculty members he is horrified to learn she has invited back a younger couple to their house for yet more drinking. 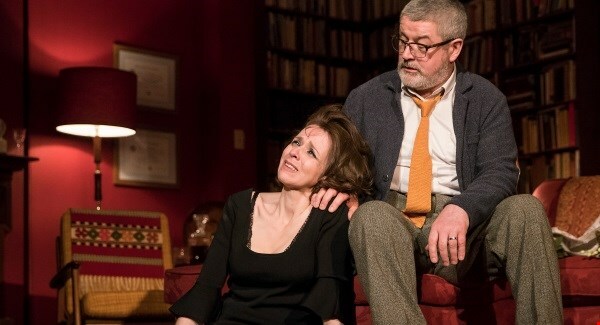 When the couple arrive, biology professor Nick (Mark Huberman) and his slim-hipped wife Honey (Sophie Robinson), George and Martha soon get roaring drunk and verbally flay each other, to the bemusement of Nick and Honey, before Martha crosses a line and George reacts with violence that escalates from flamboyantly physical to cruelly psychological. And once the mind-games begin in earnest Nick and Honey are dragged down too as the secrets and lies of their marriage are brought to light. Grindley and designer Jonathan Fensom wall in a substantial part of the Gate’s playing space to shrink down proceedings into one claustrophobic living room. 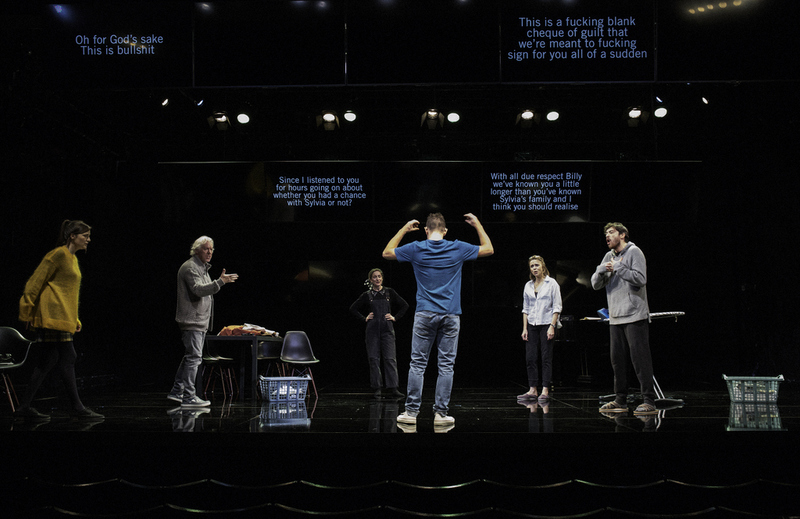 An arena cluttered with the detritus of academic life, which nobody can escape until the mind games have reached a conclusion, it is decorated in an unlikely pervasive red as if to hint at Albee’s inheritance from Strindberg’s pioneering psychodramas. Conway bounces about this tight space in a masterly agile performance. George effortlessly swings from slothful self-pity to sprightly spitefulness via notes of camp and anger, and almost seems to be the conductor of this concerto of callousness. Bell, however, gives the standout performance. Her slovenly Martha is a masterpiece in drunken physicality, with her thwarted ambition producing caustic kvetching in a slumming accent, before Bell delivers a tearful and wonderfully affecting monologue in the finale. 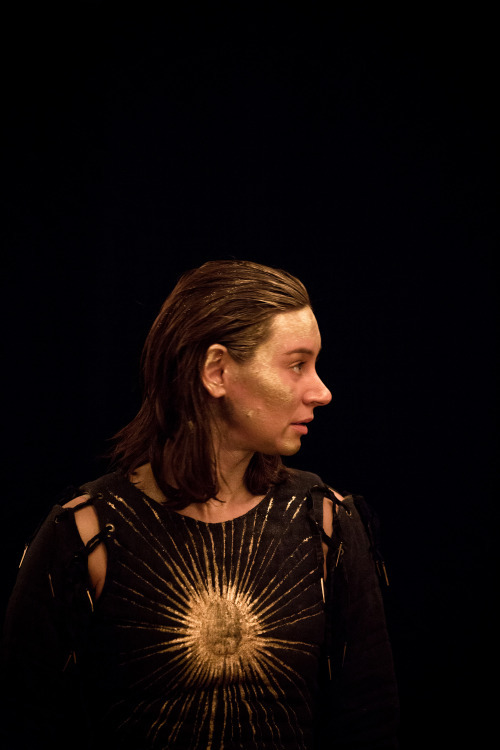 Sophie Robinson as the none too bright Honey is a revelation. She failed to project the necessary comic vivacity as Viola in the Abbey’s 2014 Twelfth Night, but under Grindley’s direction she is this production’s comedic ace in the hole. Honey’s ability to turn on her husband with sharp rejoinders alternates ecstatically with total obliviousness (such as not realising that George is narrating her own life story to her) and non sequiturs (such as egging on a potential fight between George and Nick with “Violence! Violence!”). Mark Huberman has the least rewarding role as Nick, but he hits the right note as the stolid scientist with just a touch of the jock in his make-up: pompously standing on his dignity when he’s not trying to hump the hostess. The performances are further testament to Grindley’s skill as an actor’s director. This is a wonderful production, yet Grindley’s consistent skill in investing static psychodramas with terrific performances can make it hard to discern his overall artistic intent in these plays. Who’s Afraid of Virginia Woolf? 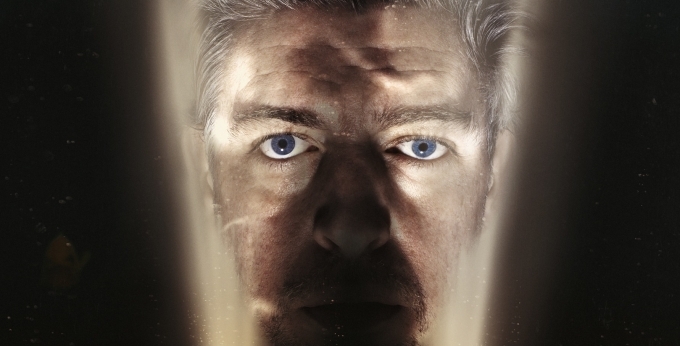 continues its run at the Gate Theatre until the 11th of June. 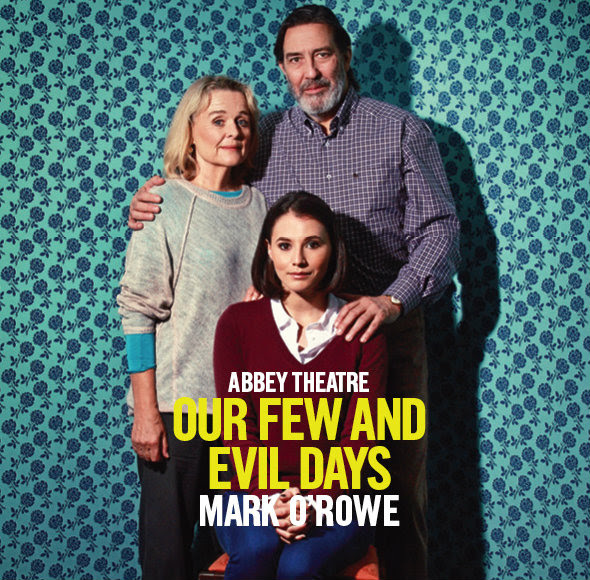 Annabelle Comyn directs her third summer show in a row on the Abbey stage and, following 2011’s Pygmalion, makes a welcome return to Bernard Shaw. 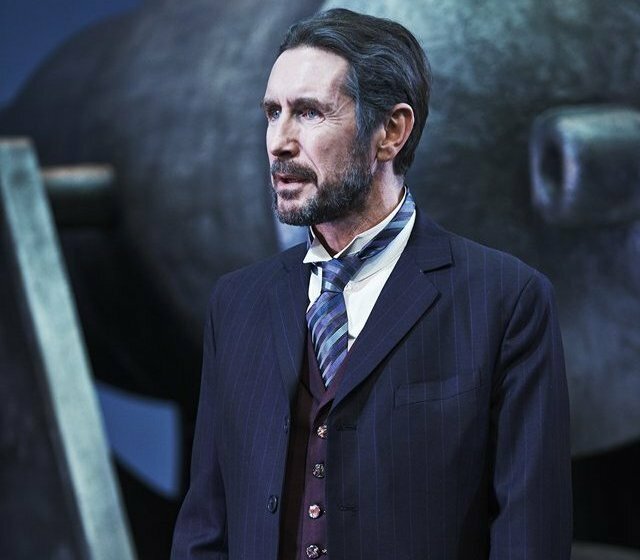 Shaw’s 1905 play begins with the imperious Lady Britomart (Eleanor Methven) initiating her shallow son Stephen (Killian Burke) into the shameful history of his millionaire father, arms manufacturer Andrew Undershaft (Paul McGann). Lady Britomart intends to tap Undershaft for marriage settlements for their daughters Sarah (Liz Fitzgibbon), engaged to upper class twit Charles Lomax (Aonghus Og McAnally), and Barbara (Clare Dunne), engaged to bohemian Greek scholar Adolphus Cusins (Marty Rea). She also hopes, by inviting Undershaft to meet his children for the first time in decades, to spark some paternal sentiment in him so that he will abandon the Undershaft tradition of disinheriting the lawful heirs in favour of settling the massive arms concern on a foundling. The unrepentant Undershaft, however, is more impressed by his daughter Major Barbara; who he makes swear to visit his arms factory if he visits her Salvation Army shelter. But which of their competing philosophies will overcome the other? Major Barbara is dominated by the character of Undershaft and McGann rises boldly to the challenge. His entrance into Lady Britomart’s library, absolutely unsure as to which of the three men in it is his son, is expertly prolonged, and his delivery of his unscrupulous politico-economic philosophy jaded without being cynical; his very sincerity hinting at the need for new energy which the steely Barbara suddenly offers to him. Dunne’s fervour as Barbara, with undertones of despair, complements McGann’s nuance, while Methven Fassbenders as the Wildean matriarch insulting her son and prospective son-in-laws with arch put-downs. Burke does a fine job of Stephen’s indignation shading into admiration as he sees his father’s works, but comedic honours go to Aonghus Og McAnally and his repeated contention that whatever’s being discussed involves a good deal of tommyrot. Talking Movies favourite Rea makes his shady character a worthy foil to Undershaft, alternating between ecstatic acceptance and mulish rebellion. But, far more than Pygmalion, this play engages with the poor of London. The elegant library, by Comyn’s regular set designer Paul O’Mahony, loses its refinement to become the facade of the Salvation Army shelter. Shaw presents the poor who despise being reliant on charity (Chris McHallem’s defeated Peter Shirley), the poor who play up their Christianity to cynically con charity (Emmet Kirwan’s sly Bronterre O’Brien Price), and the poor who only Barbara would tackle (Ian Lloyd Anderson’s truly menacing Bill Walker). This is a London haunted by the winter depression of 1886, and, even as Barbara and Walker clash rhetorically and physically over his rejection of salvation, the visiting Undershaft instructs the attentive Cusins in the employers’ interest in the Army keeping the poor content, but in their place. When Undershaft offers a massive donation to Mrs Baines (Fiona Bell) to help keep open the shelter, Barbara resigns rather than usefully employ tainted money. And so the final act finds the library transforming into a munitions factory with a massive weapon as its centrepiece as Undershaft attempts to uphold the Undershaft tradition while yet employing his fiery daughter… Major Barbara runs for nearly three hours and is a dense play. Is Shaw satirising the Salvation Army as the acme of religious enthusiasm that horrified staid Victorians? Or merely challenging the Army to convert the rich because they will be more sincere as they do not need their charity? And then there’s the grenade he throws in of personal integrity getting in the way of the greater good. Does Barbara have a duty to accept money made from wrongdoing in order to serve the greater good? Given recent resignations of conscience and Trevor Sargeant’s 2007 resignation to allow his party enter government this is not an abstract Antigone dilemma. Undershaft’s seductive honesty is very Shavian, if he doesn’t believe something he won’t pretend to for the sake of social niceties; and so he magnificently flourishes the fact that his industry controls government. But are his actions consistent with his philosophy or is he as impetuous as Barbara, so Shaw’s calling for compromise not mad idealism? 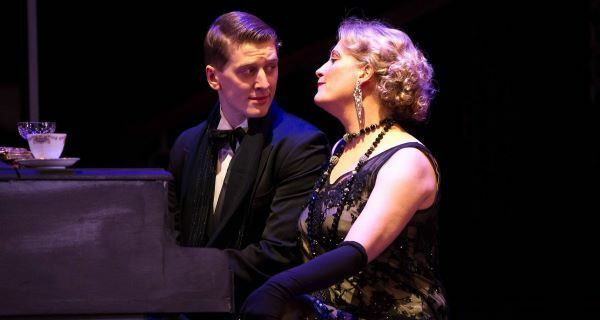 These knotty questions can’t really be answered, and so this production of Major Barbara is to be commended for expertly maintaining the comedic undertone in its intense examination of the ever-relevant clash between private integrity and the public good. 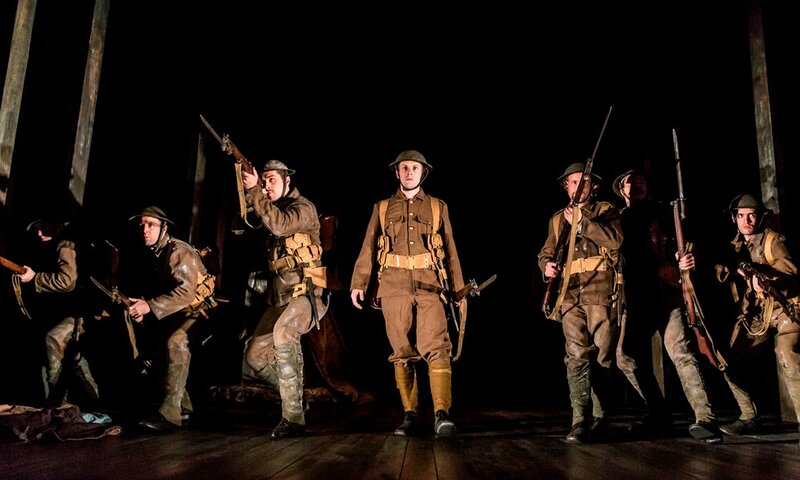 Major Barbara continues its run at the Abbey until the 21st of September.